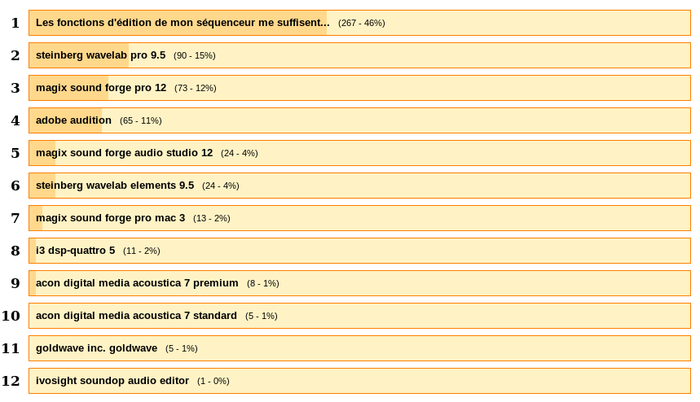 Do note that the poll included only commercial software tools and we only considered generalist audio editors, which explains the absence of more specialized software like Izotope RX or Hindenburg Journalist Pro. 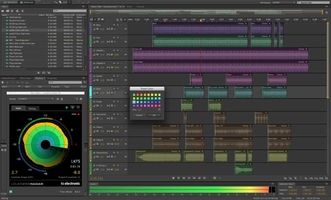 Things have changed quite a bit in terms of how users see audio editors: in 2018 46% of respondents said they the audio editing fesatures of their DAWs were more than enough for their needs, whereas in 2014 it was only 22%. Other than that, even though the balance of forces is more or less the same, the classification did change a bit. If only by a hair's breadth, Wavelab beat its longtime rival Sound Forge with 19% of the votes. 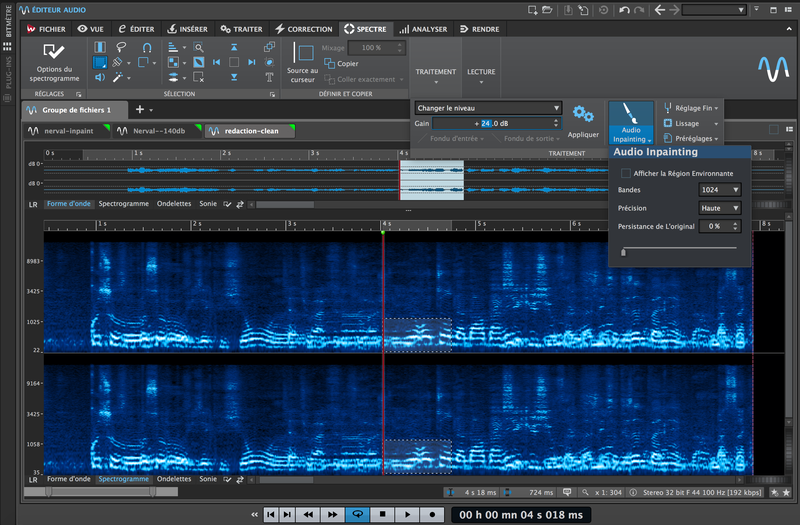 It might have to do with the fact that, unlike the latter, its versions for Mac and PC are pretty homogeneous in terms of functions, but also because its design was revamped recently and now features spectographic edition without the need of an external application. Its advantages? 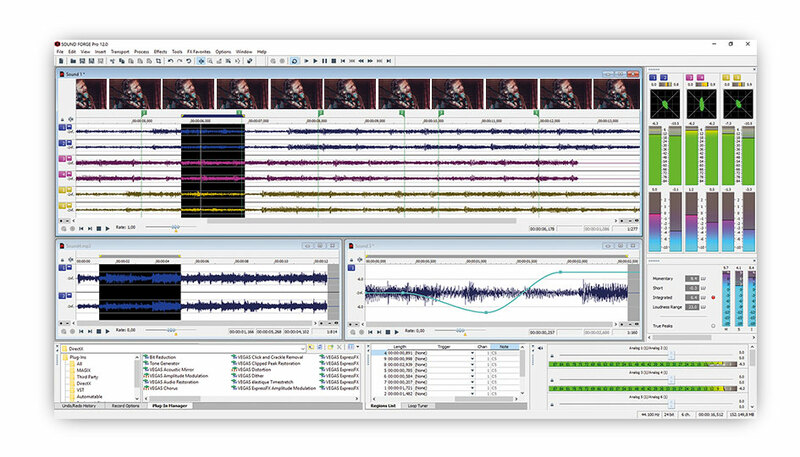 Features for professional mastering and audio restoration, but also excellent visualization tools, as well as a pretty comprehensive suite of processing options. Although the price tag of 580 euros for the Pro version certainly makes it one of the most expensive options on the market, you can get the Elements version for only 100 euros and get all basic features. Bought back from Sonic Foundry by Sony, Sound Forge racked up 18% of the votes, losing the top position it had won back in 2013, probably due to Sony's lack of motivation to make any further developments. Despite the fact that the software seems almost dead, Magix bought it recently and even though it's still too early to tell what this move will result in, at 400 euros it's certainly one of the most expensive solutions for Windows. 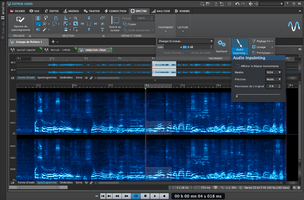 Comfortable in the audio post-production, mastering and sampling worlds, it also features spectographic restoration with the IZotope RX Elements bundle, and it can also be bought together with Spectralayers Pro for 500 euros. Its main defect today? A somewhat stale, even though functional, interface and a Mac version which isn't up to par with the PC version in terms of functions. Do note however that there is a 60-euro version called Sound Forge Audio Studio 12 which gives you access to the software's basic functions... if you are a Windows user, that is. Audition, the descendant of Syntrillium's Cool Edit Pro bought by Adobe to integrate it within its audiovisual suite, got 11% of the votes to land the third spot. 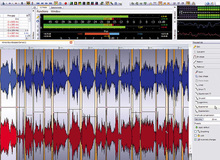 Conceived with audio post-production in mind, it is a safe bet when it comes to multitrack editing besides being the first tool to incorporate spectographic edition, making it an interesting tool for audio restoration. Do note however that it seems to not be available for sale anymore and you will have to "rent" it for $21 per month.